Two goals from Teemu Pukki and one each from Emi Buendia and Dennis Srbeny see off sorry Sheffield Wednesday. 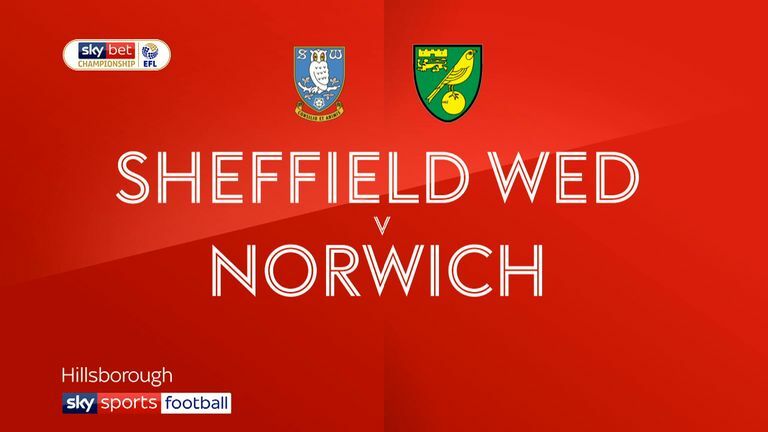 Norwich claimed top spot in the Sky Bet Championship as a second-half flurry of goals inflicted a 4-0 defeat upon Sheffield Wednesday. Teemu Pukki scored twice, while Emi Buendia and substitute Dennis Srbeny also got in on the act, as Daniel Farke's team secured a fourth consecutive triumph. Wednesday, by contrast, have now lost four on the spin, with most home supporters left especially despondent by this latest reverse. Jos Luhukay's side had their moments in the first half, but it could have been an even more painful scoreline had Mario Vrancic not missed a sixth-minute penalty. Referee Stephen Martin felt Vrancic had been fouled by Tom Lees inside the 18-yard box and awarded a spot-kick. But Vrancic made an absolute mess of it, with an unimpressive, shuffled run-up matched only by his feeble strike, and goalkeeper Cameron Dawson did not need to produce anything out of the ordinary to easily smother the penalty low to his left. Yet three minutes earlier, Wednesday's Josh Onomah ought to have at least hit the target when he fired over after good work from Adam Reach. Onomah was later presented with a similar, but much trickier, opportunity. Goalkeeper Tim Krul parried Reach's curling shot from the right towards the Tottenham loanee, who carelessly fired high and wide. The visitors nonetheless remained a fleeting threat on the counter-attack. Indeed, Dawson should have again been called into action on the half-hour mark but Onel Hernandez, who had been helped on his way by a precise Vrancic flick, scuffed wide of the goalkeeper's near post. That neat move punctuated a good spell of Wednesday pressure, which nearly reached a high point when Barry Bannan's fiery strike from 30 yards was theatrically punched over the crossbar by Krul. Luhukay would have been happy enough at half-time, but his side simply capitulated after the restart. Pukki set Norwich on their way after 51 minutes when Moritz Leitner's shot was poorly defended by Daniel Pudil. The ball fell kindly to Pukki, who showed laudable predatory skills from close range. Wednesday looked aimless and fragile after such a cheap concession and they were duly punished again five minutes later. More uncertain defending - no-one took responsibility for Jamal Lewis' deflected, looping cross - allowed Buendia the freedom of Sheffield to cash in with his left foot. And the game was effectively over after 61 minutes when Pukki swept home Max Aarons' excellent right-wing cross. Things then got much darker for Wednesday when Srbeny, who had only been on the pitch for just over a minute, stabbed the ball home after Dawson made an unseemly hash of a routine back-pass. 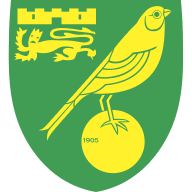 Dawson later had to atone for another bad error when he saved at Srbeny's feet as Norwich marched on with another three points. Jos Luhukay: "Everyone can see we are not consistent enough in our defending work. It was too easy, how we gave the goals away. You cannot win games when you give goals so easily away. "We do not have the stability that we need. In the beginning of the game we had two or three good moments to score. It was a very, very disappointing game for us. I think we have the character - they did not give up - but when you don't have 100 per cent confidence or trust, it's not easy. We must fight to do better." Daniel Farke: "We are pretty happy with this result, and also with the performance. 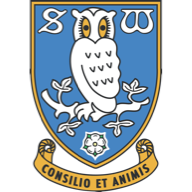 They (Sheffield Wednesday) tried to play with lots of intensity, but our performance was too good, and in the second half we could speed up our game-play. "It's important to enjoy this feeling, but it's also important that the players and me have both feet on the ground. We know where we are coming from. We don't lose the ground from under our feet."